Important: The two safety breakaway clips shown in the image are not included in the print price. 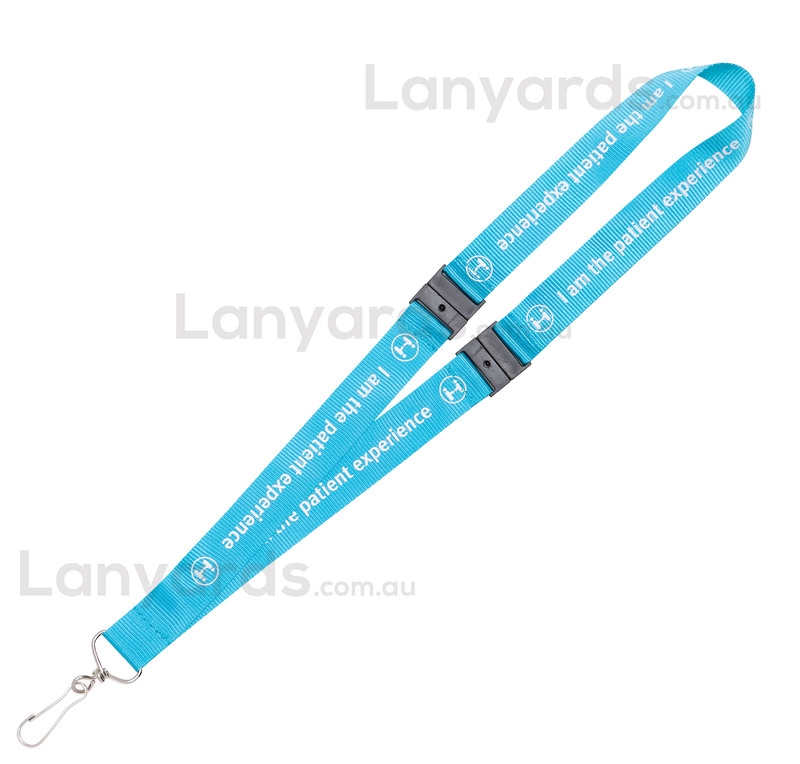 Extra wide ID lanyards made from nylon material have a great sheen quality to their look and have a more upmarket appeal. The only thing to consider with these wide 25mm nylon lanyards is the material itself is slightly stiffer than other styles of lanyards, so they are best worn outside of a shirt collar so it is not rubbing directly onto the skin. Pricing includes a repeat print all the way around the lanyard on one side and we have four great standard options of attachments at no additional cost.